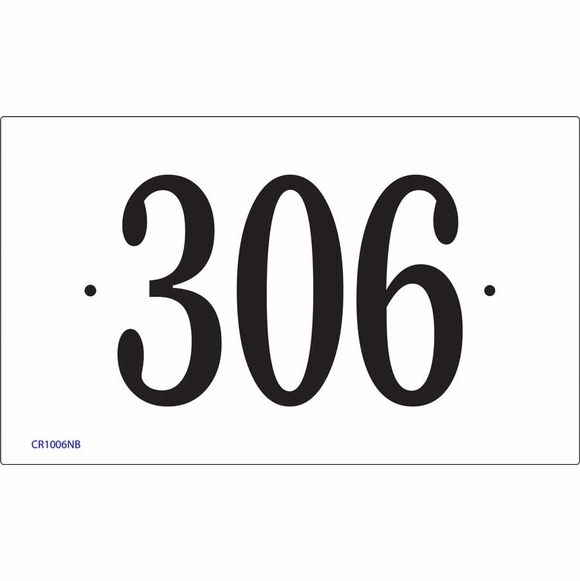 Rectangle House Number Sign with Large Numbers - - for good visibility. One-line address plaque holds up to four 4" high numbers or letters or five 3.5" high numbers or letters. Made in USA. Fast turnaround; ships in 1-2 days. This is the house number plaque featured in the 2017 HGTV Magazine "Curb Appeal" article. Now available for wall mount and for lawn mount. Lawn style includes the lawn stake (click top link in Related Products for more details). The only difference between wall and lawn signs is the placement of the holes. Both styles are available in all color combinations shown.